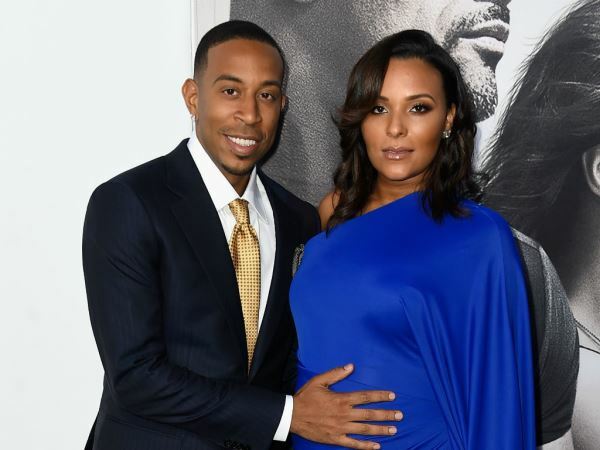 Ludacris’ wife Eudoxie Mbouguiengue has given birth to their first child together. The couple, who married over the Christmas holidays last year, announced they were expecting a baby in March. And the pair are now the proud parents of a newborn daughter. “She is here #blessed #grateful,” Eudoxie wrote on Instagram Thursday, capping off the message with hearts and smiley-face emojis. The caption accompanied a picture of a balloon with the words “baby girl” written on it, alongside an eager dog looking out of the window with its paws resting on the ledge. Ludacris also made a sweet announcement of their new arrival on the picture-sharing website. He shared a throwback Thursday photo of Eudoxie with her mother, captioning the image: “#tbt now @eudoxiee will be switching places. #blessings #love #life”. Ludacris already has two daughters from previous relationships, Cai, 18 months, and Karma (13). After dating since 2009, Ludacris decided to pop the question to Eudoxie after Christmas last year and they married the same day he proposed. Ludacris has previously spoken about how much fatherhood means to him. I'm a 48 year old man looking to meet women between the ages of 25 and 55.